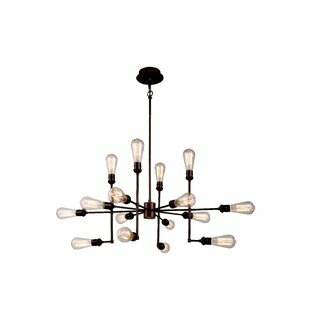 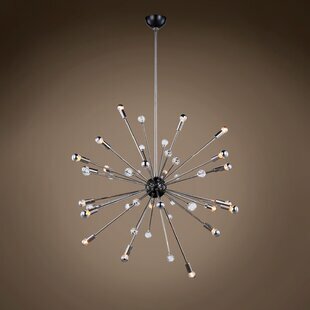 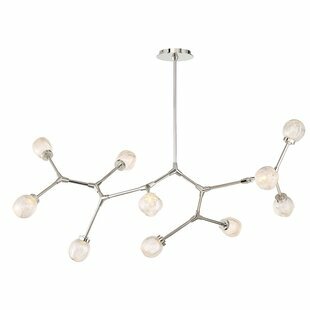 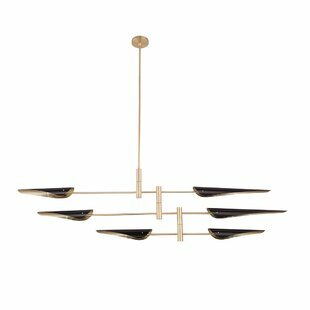 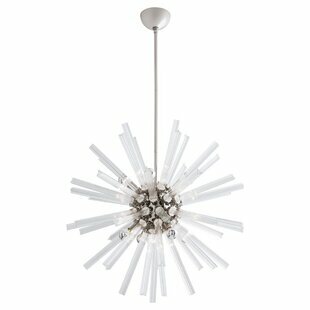 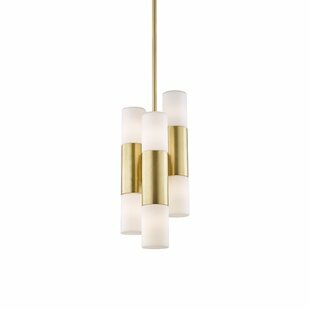 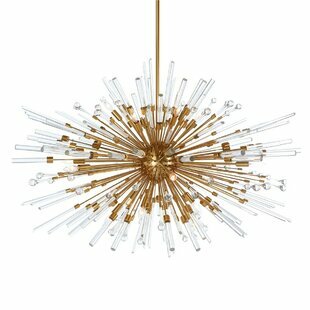 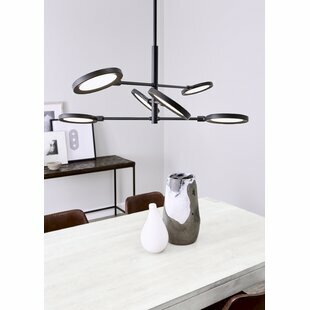 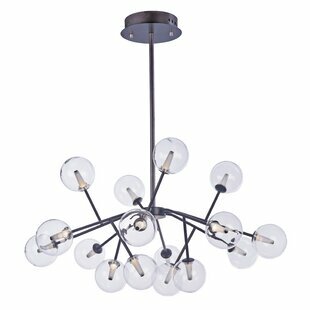 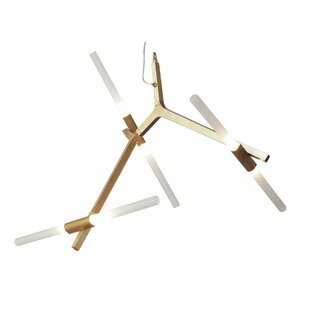 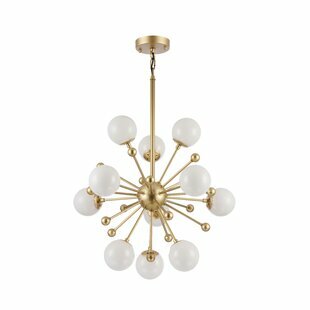 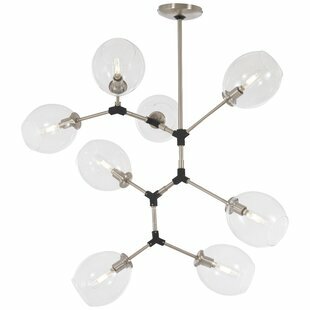 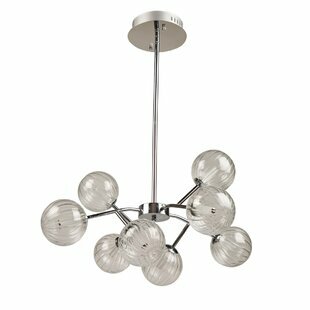 Artful elegance meets space-inspired energy in this product. 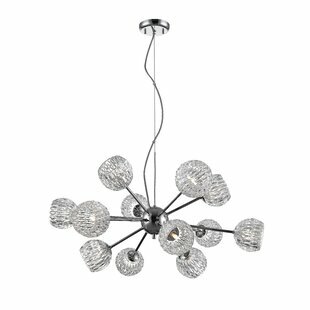 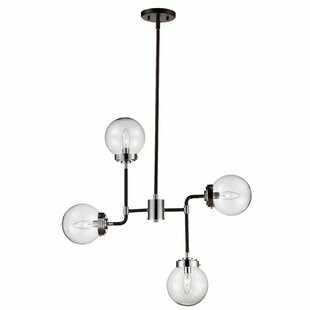 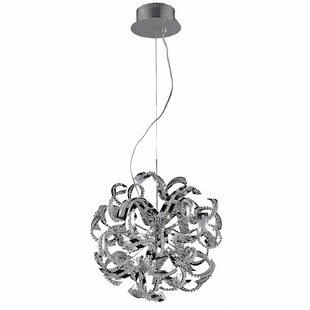 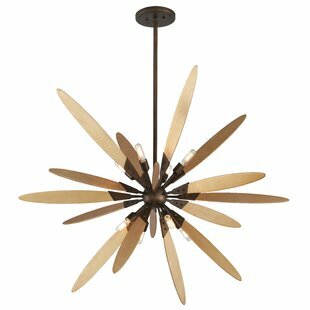 A charming nautical feel accompanies crystal glass shades protruding from a finish steel center orb, offering a fun geometric effect. 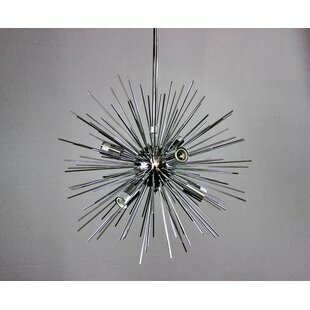 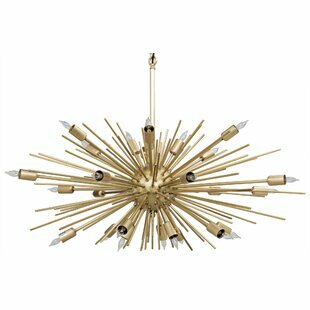 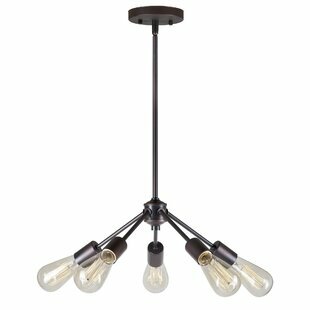 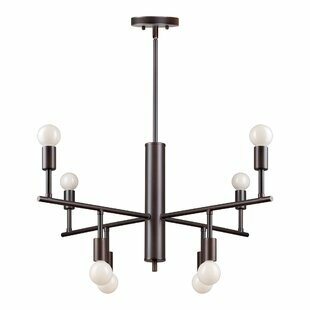 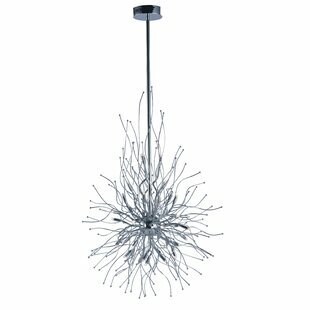 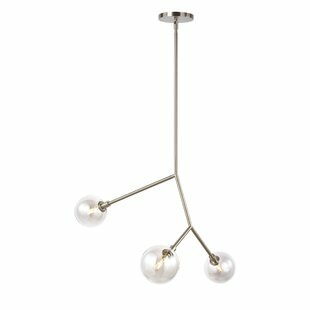 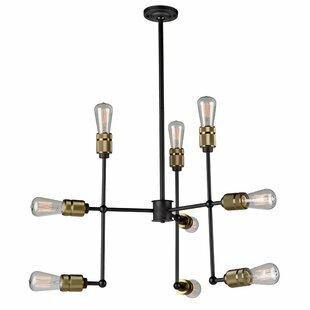 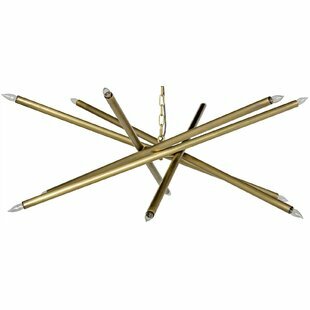 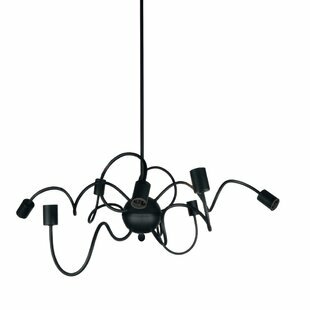 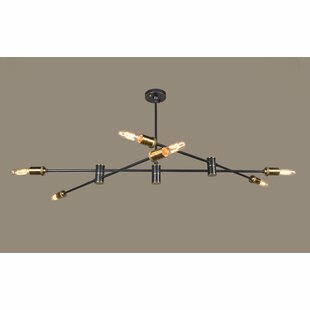 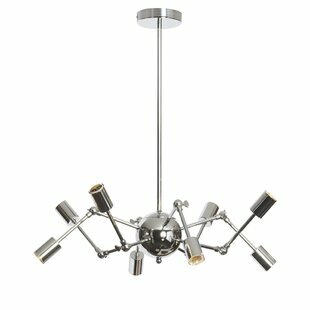 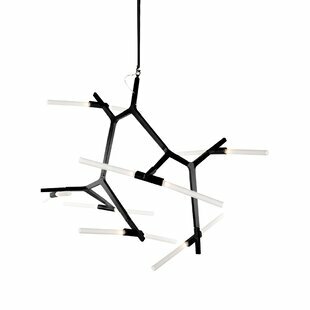 Number of Lights: 12 Fixture Design: Sputnik Adjustable Hanging Length: Yes Fixture: 14.25 H x 30 W x 30 D Overall Weight: 18.5lb.